It is the page where you store GPS files etc. When you create your Stages pages or however you decide to lay out your web site, you will be able to include links to a map or give links to interactive maps. 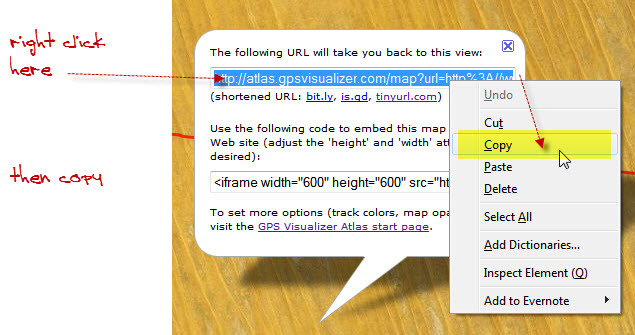 Make a live and zoom-able map each time some-one clicks on the webpage. Instructions are on the right. Wait for the map to be created and displayed. Go to top right and choose the type of map you want displayed - it might be different dependant on the track stage. 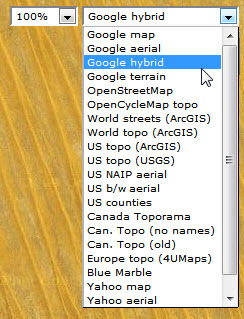 Go to the bottom left and "Link to this View"
Copy the link to the created interactive Google map - the one coloured blue under the text . . . . the following URL will take you back to this view. Don't accidentally click it and take the blue highlight away before you right click and copy. Otherwise go back a step and "Link to this View". 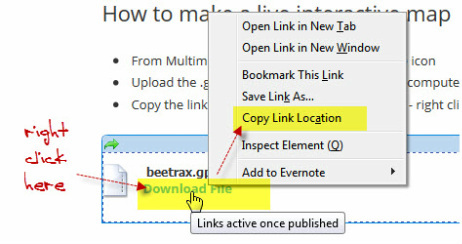 If it is not highlighted when you try to copy, you will not get all the link. Paste the link into the Data Store page. 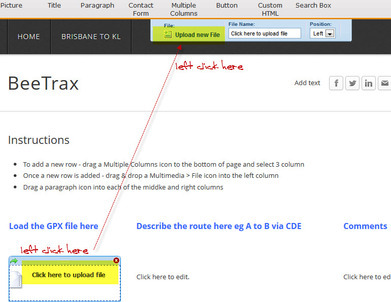 COPY LINK OF THE UP LOADED FILE by clicking on the text "Download File" - I know just do it!